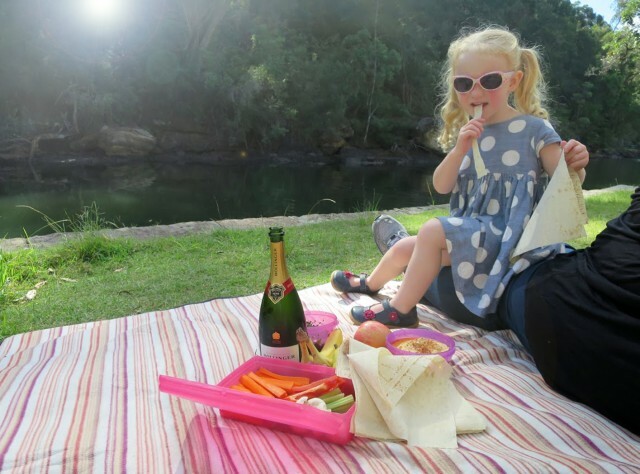 This has been a favourite for family picnics, birthday parties or bush walks since my youth, and probably long before, and it is lovely to see that it has both been improved and managed to stay almost completely unchanged for decades. For our family excursion, we packed a light lunch, picnic blanket, and a few games for the little one, then drove on in. There is an entry fee of $12 for all vehicles, although on some days you don’t need to pay until you park. Firstly, we found the Kalkari Discovery Centre. 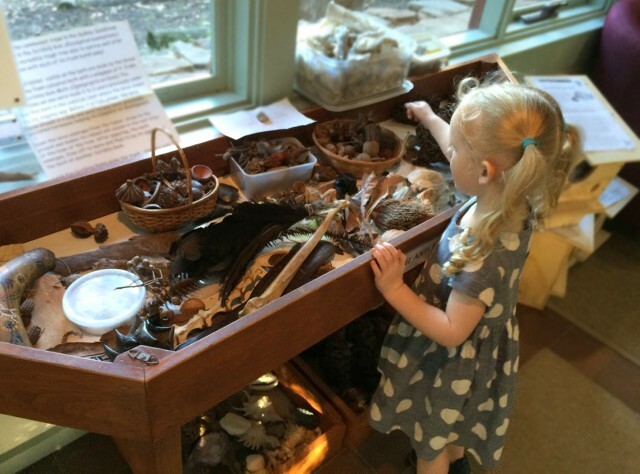 This is a lovely visitor’s centre, staffed by pleasant volunteers, which offers many hands on experiences for little kids. Where else can your little one handle a snake skin, an animal skull or a stuffed animal? There are no “please don’t touch” signs here. The walking track is flat, offering the chance to see some bush animals up close. We then drove down and around to Apple Tree Bay. We found this picnic, walking, fishing and boating area a quieter alternative to the main Picnic Ground, on a day when parking was very difficult to find. Being more out of the way, we found a park easily and settled down to enjoy our lunch, feed the fish and explore the local parkland. We also enjoyed icecreams from the little kiosk. After lunch, we drove back to the Bobbin Head Picnic Ground to check out the main facilities. We watched families paddling about in boats, kicked a ball around, and our little one enjoyed herself in the enormous sand pit and play area. 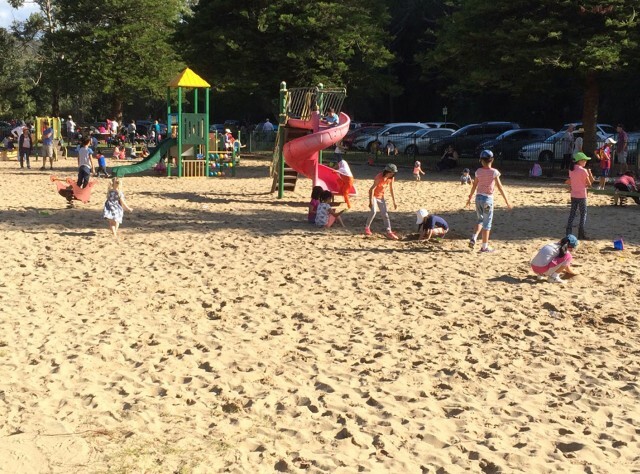 It is such a great idea to make the whole play area a sand pit – next time we’ll bring the bucket and spade. It was safe and fun, but with so many children, adults, and exit points, vigilant supervision was necessary. To finish off the day, we took a stroll along the Mangrove Boardwalk, at the South end of the picnic ground. 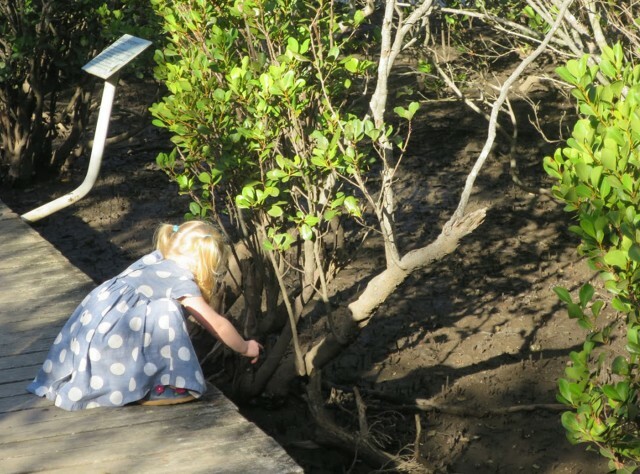 At first our little one thought this was just mangroves, mangroves and more mangroves, but once she stopped and looked, she spotted the wonderful world of muddy crabs scurrying about below, providing plenty of fascination and entertainment. A few more minutes walk took us back into the bush, where there was plenty to see, hear and touch. 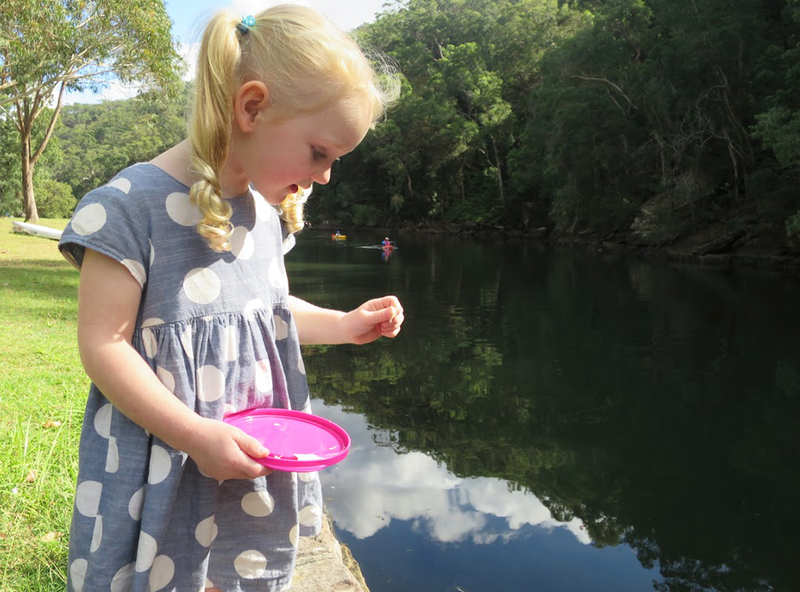 We had a lovely day at Bobbin Head and definitely thought it was worth the cost of entry. I’m sure we’ll bring our little one here many times throughout her childhood, as my parents once did. 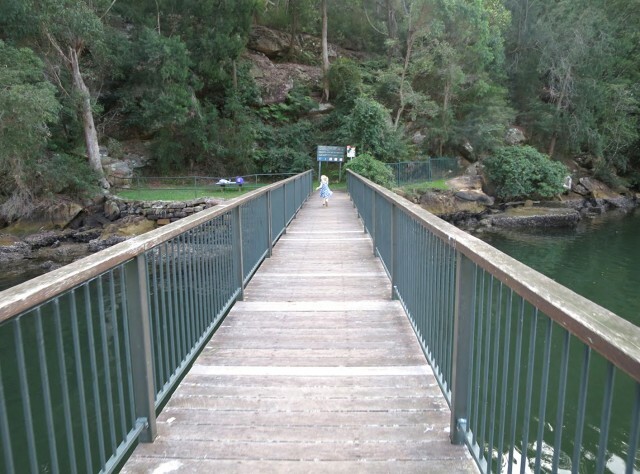 Mangrove Boardwalk, accessed by foot at the South end of the Bobbin Head Picnic Ground. The boardwalk will handle a pram, but you’ll have to leave it when you get to the stairway to continue the walk.